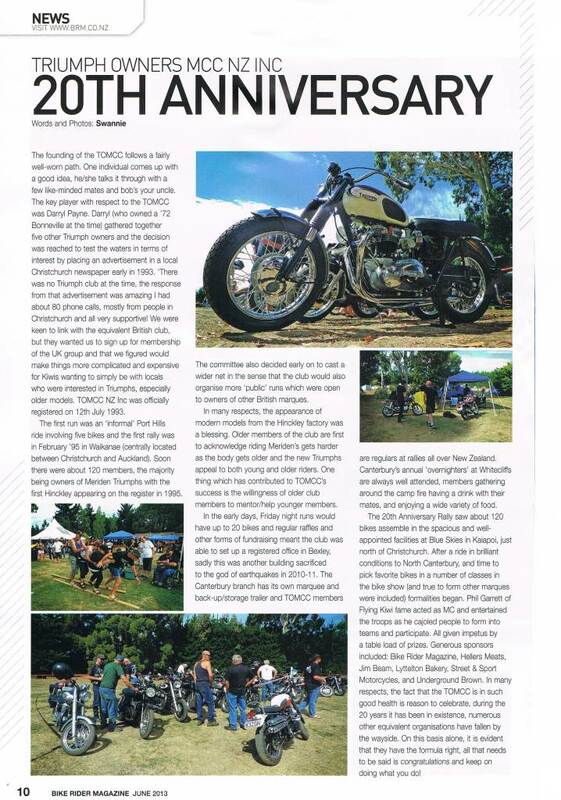 August, 2013 | Triumph Owners Motor Cycle Club NZ Inc. 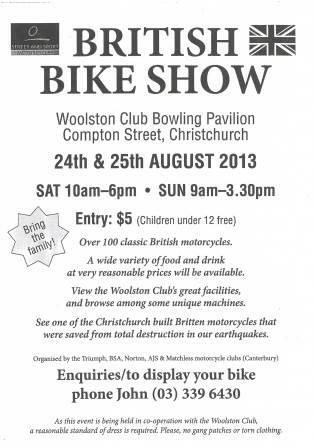 Triumph Owners Motor Cycle Club NZ Inc. The club was first formed in 1993 by Darryl Payne and a group of enthusiastic Triumph owners in Christchurch. Admin Login Copyright © 2018 Triumph Owners Motor Cycle Club NZ Inc.